All Exchanges and returns must be made before March 10, 2010. You don't need to have your receipt, but they would like the case. Read all the details for returns and exchanges and print out the return form here. I think this is such a great thing. I recently wrote about this on my blog- lts of people are for it, lots are against! Thanks for spreading the word about it!! I personally don't agree with this. Unless you actually thought that your child would become a genius from watching these videos, I don't think the lawsuit applies to you. I purchased these videos because my children enjoyed watching them – that was accomplished so, in my opinion, returning them wouldn't be right in my case. Rachel, I agree with you. 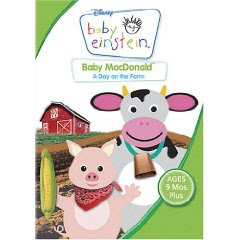 However, even the brand name of this product implies that your child will learn something and perhaps become smarter as a result of watching these movies. Believe me, I actually know people who thought this! In those cases, a refund is more than appropriate, and I want to make sure people know about it!